Volkswagen says it is building about 400 Atlas crossovers a day at its Chattanooga plant, or a pace of about 100,000 per year, but will eventually be able to build 800 a day. CHATTANOOGA, Tennessee, USA -- A top Volkswagen Group executive said the company expects to boost its utility vehicle sales sharply by 2020 and will move to add electric vehicle offerings in the wake of its diesel emissions cheating scandal. Herbert Diess, who heads the mass market Volkswagen brand, said the world's largest carmaker by sales expects utilities to account for 40 percent of its global sales, up from less than 15 percent today. 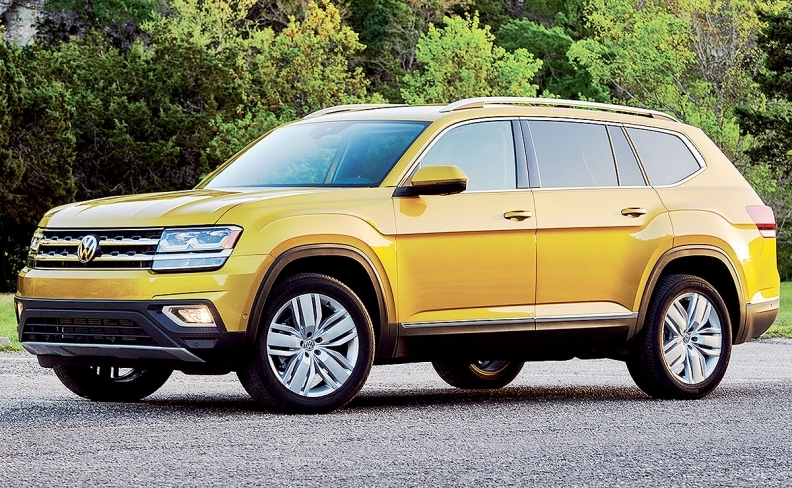 Volkswagen is building about 400 Atlas crossovers a day at its Chattanooga plant, or a pace of about 100,000 per year, but will eventually be able to build 800 a day, the plant manager, Antonio Pinto, said. Volkswagen has been shifting its focus in the United States from marketing compact cars and midsize sedans to promoting larger, U.S.-built utilities such as the Atlas. "SUVs will drive our business worldwide because SUVs are becoming very important worldwide," Diess said. He said the Chattanooga plant has room to grow and suggested the company could eventually add electric vehicle production in Tennessee. The VW brand in the United States currently has just a 1.9 percent market share, and Diess would like to eventually get to 5 percent market share or more. "We can't win America over in two years time," he said. "It's a 10-year plan." VW U.S. brand sales are up about 6 percent through July to 188,000 vehicles. VW in 2009 vowed to more than triple U.S. brand sales by 2018 to 800,000 vehicles a year but abandoned that goal after sales setbacks and a scandal over diesel emissions cheating. As part of its diesel emissions settlement, Volkswagen has agreed to add at least three additional electric vehicles, including a utility, in California by 2020 and must sell an average of 5,000 electric vehicles annually there through 2025. Diess said VW plans a completely new electronic architecture for its electric vehicles that will be upgradable, connected to the mobile web and more competitive with electric vehicle market leader Tesla Inc.
"We have to take them very seriously," Diess said. As for the diesel scandal, Diess said, "We are recovering." Volkswagen pleaded guilty in March to rigging emissions tests, and agreed to spend up to $25 billion to address claims from U.S. owners, environmental regulators, states and dealers, and buy back about 500,000 polluting U.S. vehicles.